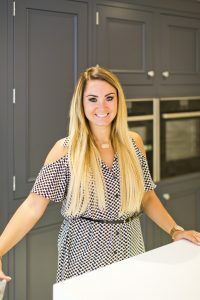 Meet Katie Green, the amazing director and designer at one of our specialist 1909 retailers, Heart Of Your Home Kitchens, based in Lancashire. 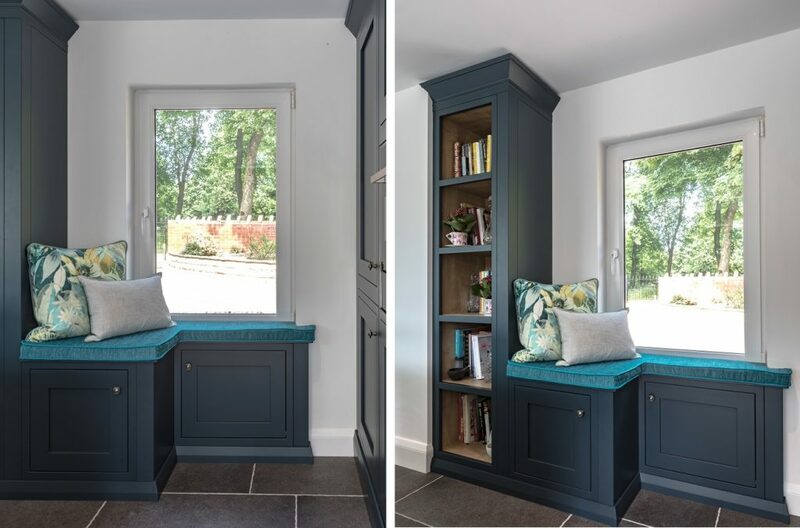 In this Journal entry, Katie talks us through a recent design project, while sharing her thoughts and top tips on working the dark blue kitchen trend that’s set to sweep the nation this year. What design brief were you given to produce this space? “My client wanted to completely transform their dark and outdated room, into a light, spacious kitchen they could love spending time in. The vision was to create a social hub, with a breakfast bar where they could all sit as a family and be together while they cooked meals. 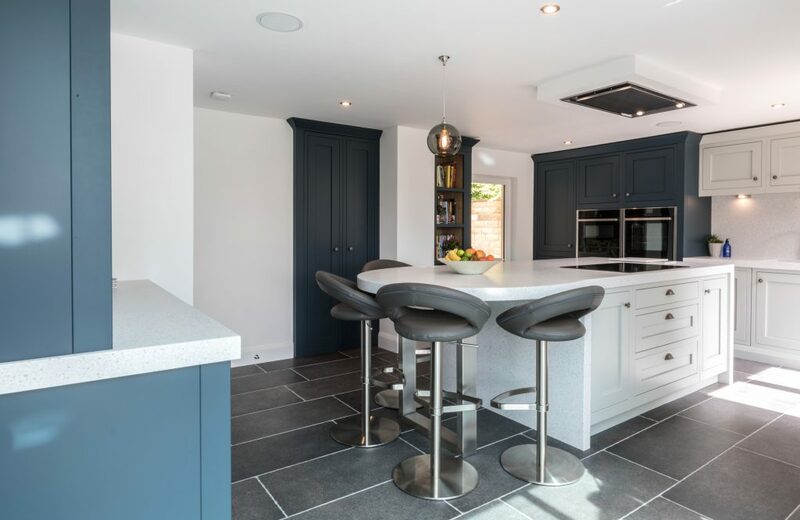 A dark blue kitchen trend is set to be big in 2019 – is this a style you like personally? You chose to pair Hartforth Blue with Partridge Grey – What other combinations do you feel would work well with the blue? Have you got any design tips for using Hartforth Blue when trying to create a light, spacious room? Are there difficulties that come with using the dark colour? 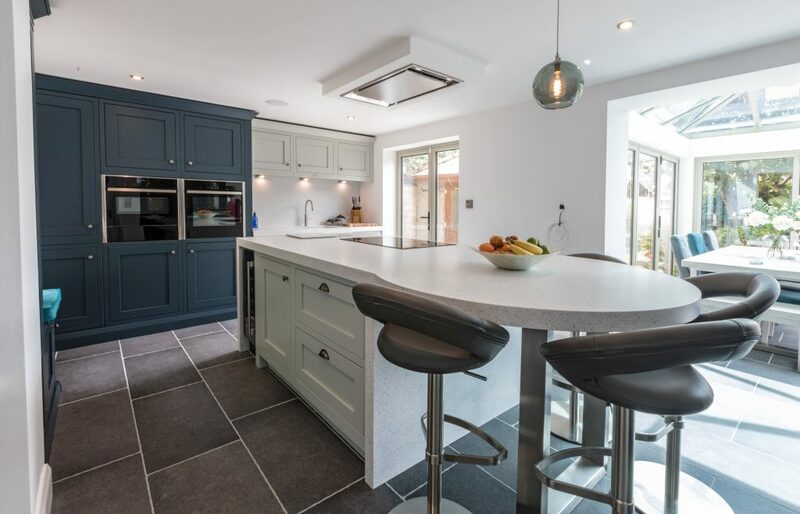 “Personally, I would recommend keeping your flooring, worktops and wall colour light when working with a Hartforth Blue kitchen. The colour will create enough of a statement on its own, so using simple tones that complement the shade will help it truly shine. What’s your favourite part of this kitchen design? What are your hopes and plans for Heart Of Your Home Kitchens in 2019? “I have some really exciting designs and installations booked in for 2019 which I can’t wait to share. As we grow as a company, we’re gaining larger 1909 kitchens installations, which is great as it’s one of my favourite ranges to design with! Do you have anymore Hartforth Blue projects on the horizon?